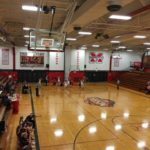 Marquette, MI – January 9, 2018 – The Marquette Redettes basketball team defeated the Escanaba Eskymos by a score of 61-50 on Tuesday night in a game that was broadcast live on Fox Sports Marquette 105.1-99.9, on 103 FXD, and online at foxsportsmarquette.com and wfxd.com. 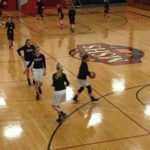 The Redettes, who came into the game after being handed their first loss of the season the night before by Negaunee, were able to bounce back and get the win against Escanaba. The first quarter saw the Redettes and the Eskymos play toe-to-toe basketball, with neither team really able to gain a meaningful advantage over the other. Marquette and Escanaba exchanged baskets, and after the end of one quarter, the score was 16-14 in favor of the Redettes. Marquette picked up the pace in the second quarter, outscoring the Eskymos 13-6 and taking a 29-20 lead into halftime. 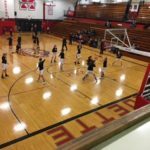 The Redettes were able to sustain their offensive production in the third quarter, scoring 14 points in the penultimate frame while holding the Eskymos to just 9. After three quarters of play, Marquette led by a score of 43-29. 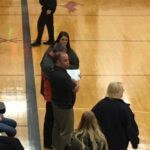 In the final stanza, Escanaba made a valiant push, scoring six uninterrupted points to begin the quarter. 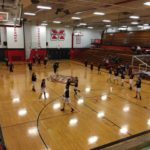 In the end, however, Marquette’s lead was just too much to overcome, and the final score was 61-50 in favor of the Marquette Redettes. Leading the way in scoring for Marquette was Mo Miller with 18 points, while on the Escanaba side it was Mykenzie Monkevich, who scored 14 points on the night. 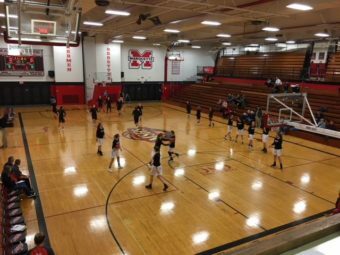 The Marquette Redettes next take the court on Friday, January 12, when they play host to the Gladstone Braves. The tip time is set for 7:15 P.M., and you can catch all the action on Fox Sports Marquette 105.1-99.9 or online at foxsportsmarquette.com.